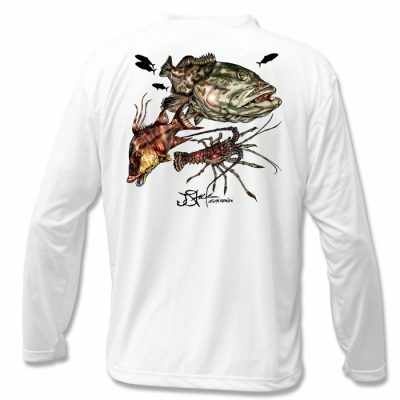 JStock Designs White LS Flounder Microfiber. 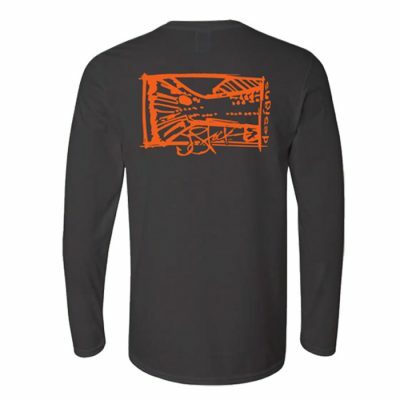 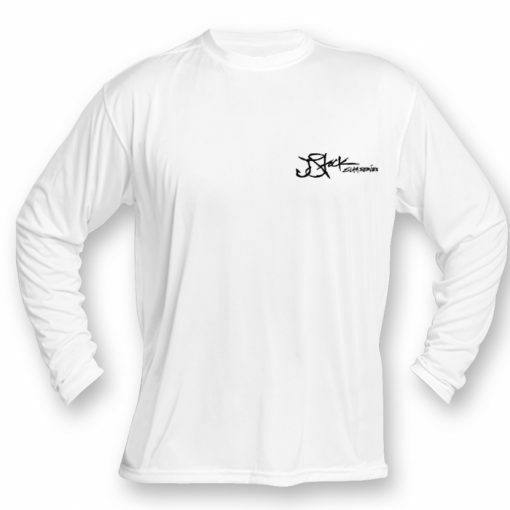 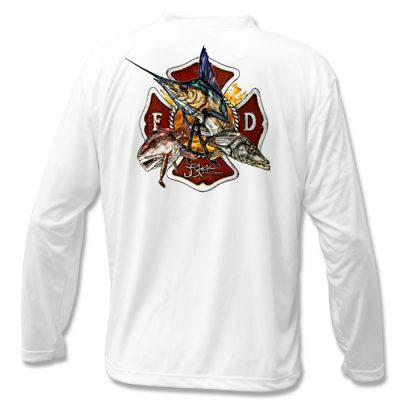 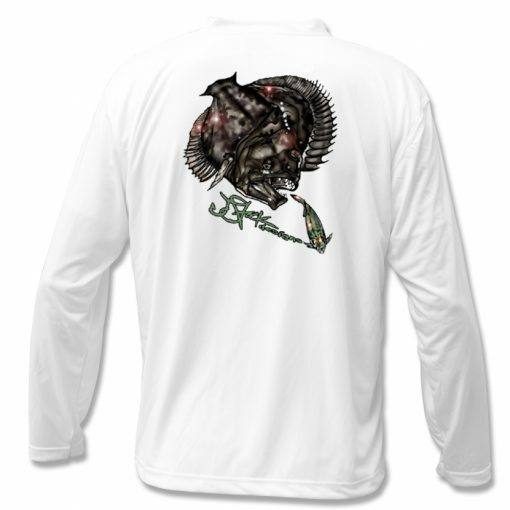 Protect yourself from the Florida sun on the water with a Long Sleeve Microfiber, specialized with JStock Designs fish design. 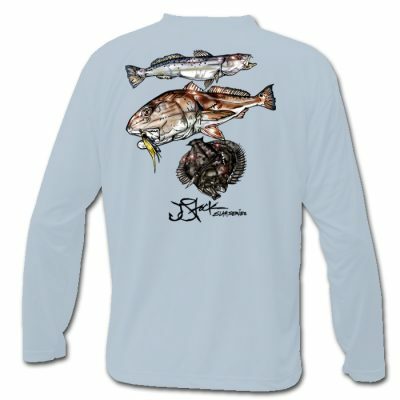 With a Flounder on the pursuit and the Greenback swimming for his life!